David “Dave” Robert Arksey was born in Toronto, Ontario in 1921. He finished high school at Lawrence Park Collegiate in 1940 and went overseas in 1941. 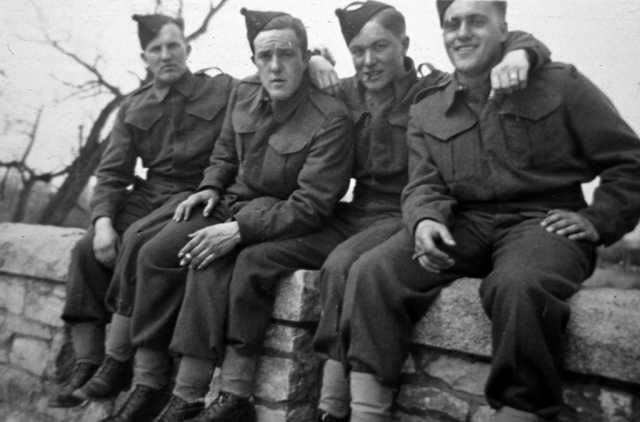 Dave Arksey was a rifleman in “D” Company, The Queen’s Own Rifles of Canada. He landed on Juno Beach in the second wave at Bernières-sur-Mer. Although most of the fighting had moved on, Dave and his fellow soldiers had to contend with German mines and mortar fire as they made their way off the beach. Dave’s first real taste of battle came on 11 June 1944 in an ill-fated assault on Le Mesnil-Patry. “D” Company and two squadrons of tanks from the First Hussars (6th Canadian Armoured Regiment) made the attack. Fierce German resistance wiped out one squadron of tanks and the infantry company. Rifleman Arksey surrendered soon after the man he was with – Lou Bridges – was shot through the head. Now a prisoner of the 12th SS Panzer Division, made up of fanatical Hitler Youth led by hardened Nazi veterans, Dave had another close brush with death. His Nazi captors threatened execution if he wouldn’t give them information about his unit. Thankfully, the Germans spared Arksey, but he did witness other brutal activities in his brief time in captivity near the front. The Germans sent Dave Arksey to work forced labour with other Allied prisoners of war at a coal mine in Poland. As the Russians neared in early 1945, the guards forced Dave and his fellow prisoners to march west and south into Germany. They left on 14 January 1945 and covered some 800 miles by 18 April 1945. Only 219 of the 429 Allied prisoners survived the march (Dave marched with thousands of Jews, political prisoners, and others as well) and Dave witnessed Jews being executed in the final stages of the Holocaust. The US Army liberated Dave Arksey and his fellow survivors in late April. In early May 1945, Dave returned to England. He weighed just 119 pounds, down from the 175 pounds he weighed when he left England before D-Day. Dave returned to Canada just after New Year’s in 1946. He later fought in the Korean War. Dave Arksey passed away on 24 April 2012, aged 91. He left behind his wife, Josephine, and four children. 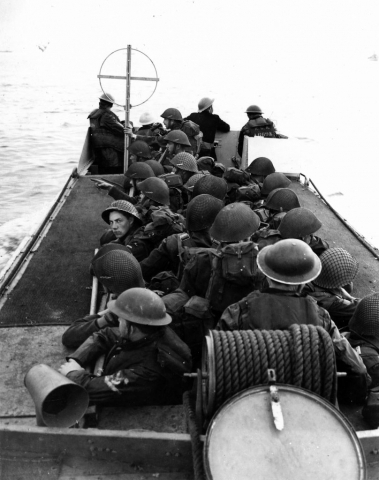 The Queen’s Own Rifles of Canada assaulted Bernières-sur-Mer on 6 June 1944. Theirs was the deadliest Canadian landing, in part because their tank support arrived late and wasn’t on hand to suppress German defences. Despite this, the battalion completed all of its D-Day objectives. 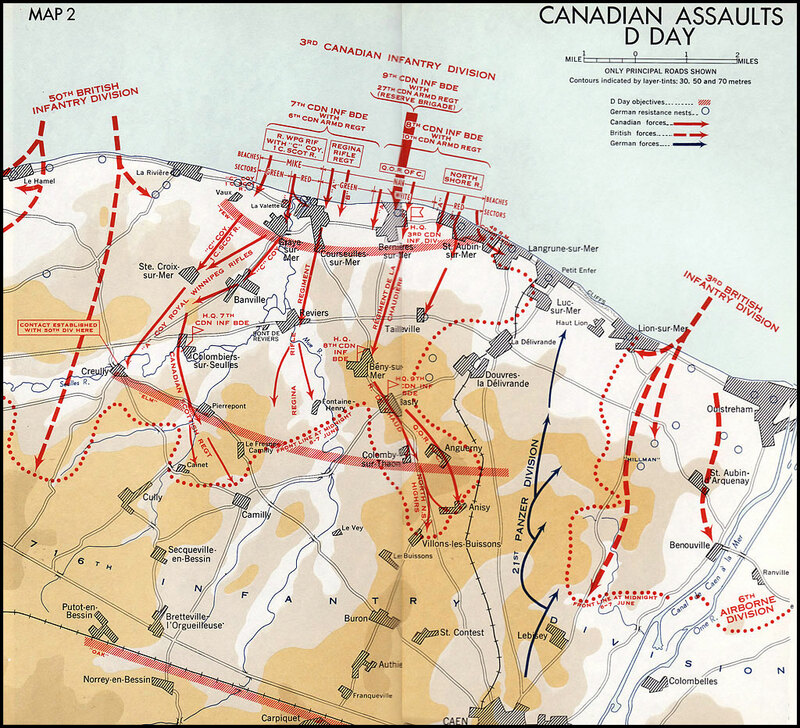 In the days following the landings the Canadians extended their territory and fought off German counterattacks. The Queen’s Own were in reserve during these events, holding the ground they took on D-Day. 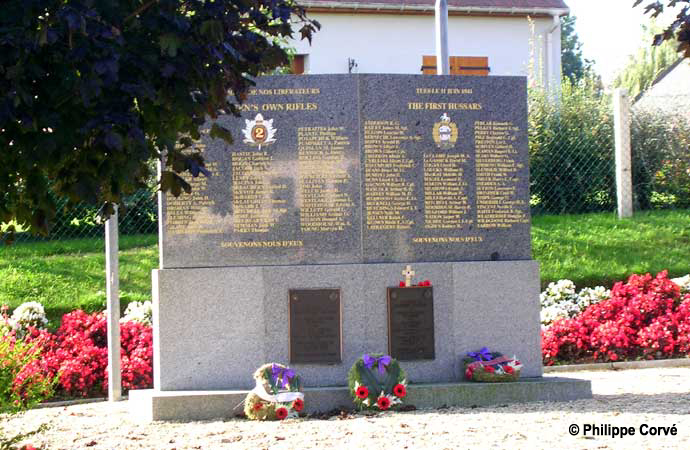 Then on 11 June 1944, “D” Company joined two squadrons of Sherman tanks from the 1st Hussars (6th Canadian Armoured Regiment) for an assault on the small Norman village of Le Mesnil-Patry. Lieutenant-General Sir Miles Dempsey, commander of 2nd British Army (under which 3rd Canadian Infantry Division served), ordered the attack, which also included elements of 50th British Division advancing to the west. Commanders later claimed the attack succeeded in thwarting a German attack. In fact, the idea was to support grander operations to capture Caen, a city that was supposed to have been a D-Day objective. 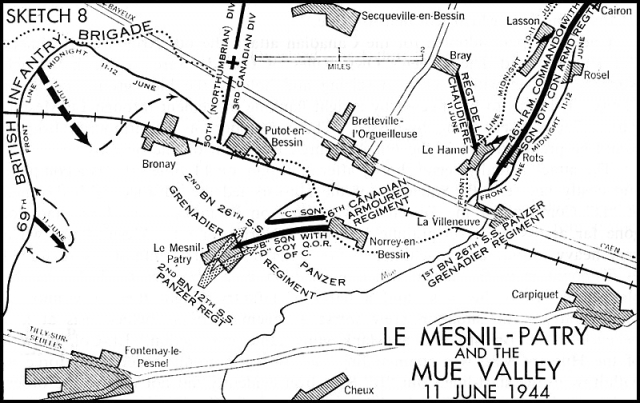 Beginning at 2:30 pm, Rifleman Arksey’s company advanced with tanks of “B” Squadron across a flat grain field towards Le Mesnil-Patry. Tanks of “C” Squadron supported the attack from positions near Norrey-en-Bessin. A battalion of German infantry supported by a company of tanks offered fierce resistance. 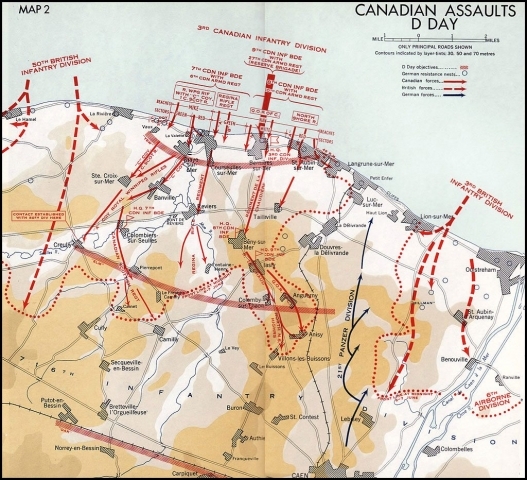 The attack failed, and the Canadians suffered heavy losses. “D” Company suffered 96 casualties out of a strength of 105. The Canadian tankers suffered an additional 80 men killed, wounded, or missing and the loss of 34 tanks (all of “B” Squadron and almost half of “C” Squadron). Dave Arksey was fortunate to be taken prisoner alive. On 11 June 1944, there were six incidents of prisoners of war being murdered by their German captors. 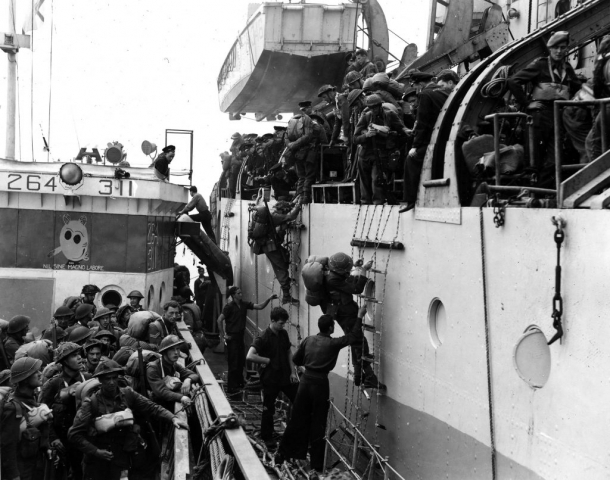 These incidents involved the deaths of 12 Canadian tankers and one Queen’s Own sergeant major. The Hitler Youth took Dave prisoner to carry their wounded to the rear. The German soldiers told Dave that they would take care of Sergeant Major John Forbes, who had been wounded in both legs and was unable to walk. Forbes was later executed at a nearby German headquarters. 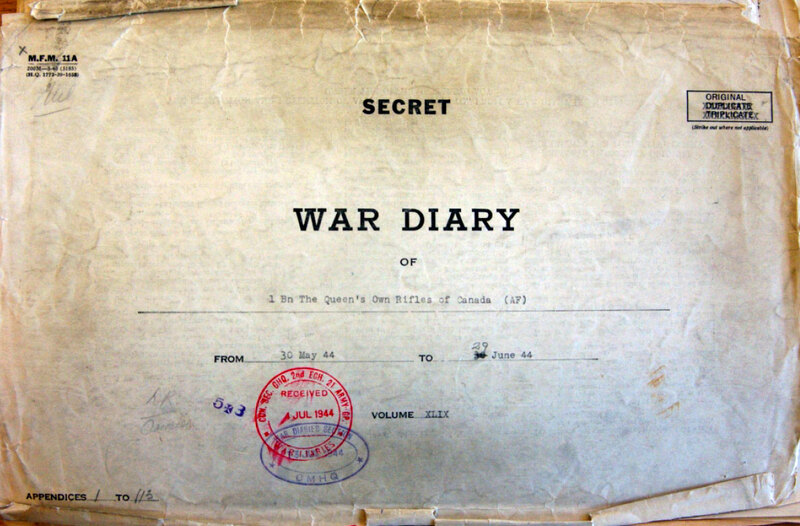 In the interview, Dave mentions how a German officer cited a letter, signed by a captain in the Royal Winnipeg Rifles, saying that Canadian troops take no prisoners as the reason for the massacres. The reality was that the Hitler Youth were indoctrinated even before the landings to believe that the Western Allies took no prisoners. This wasn’t true, as Dave attempted to point out. There is no evidence that Canadian soldiers ever murdered German troops after taking them prisoner. The Hitler Youth started the killing again five days later (17 June). They executed seven other prisoners from the battle (one 1st Hussar and six Queen’s Own) near Mouen, over six kilometres southeast of Le Mesnil-Patry. The German soldiers then ordered French civilians to dig a large grave and bury the bodies. Approximately 156 Canadians were murdered in Normandy while in the custody of the 12th SS Panzer Division (Hitler Youth). Few of the perpetrators were ever brought to justice. SS Colonel Kurt Meyer, convicted of war crimes for murders at the Abbaye d’Ardenne (7-8 June 1944), was released from prison in 1954. This short documentary reveals the atrocities that occurred in German concentration camps during World War II. With images of suffering humans and mass graves, this film depicts the events that transpired under Hitler’s rule and the condition of the prisoners when they were liberated by the Allied Forces. 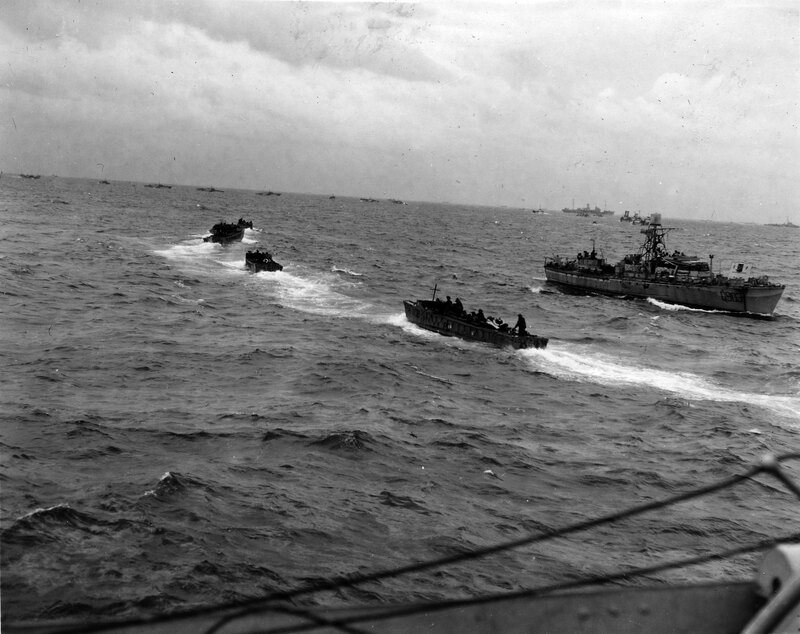 D-Day preparations in England; story of the Normandy invasion; ships are loaded with men and equipment; Tuesday June 6th – move to the target; the invasion begins at sea; landing craft move to the beaches of Bernières-Sur-Mer; landing by Canadians and the consolidation of their positions; equipment is unloaded; German prisoners start to come in; buildings damaged by German artillery; troops moving up; dinner around a fire; fraternizing with French girls; the medical corps at work; prisoners are sent to England; casualties being loaded on ships for the trip back to England; General Bernard Montgomery with the troops and giving a news conference. Former P.O.W.s relax in a camp; homecoming at a United Kingdom airport; resting with tea and reading; Bill Kinmond, war correspondent, is interviewed by a nurse about the camp conditions and the liberation.